It’s easy to mistake Awair for an audio speaker at first glance; in reality, it’s a smart device that monitors air quality. 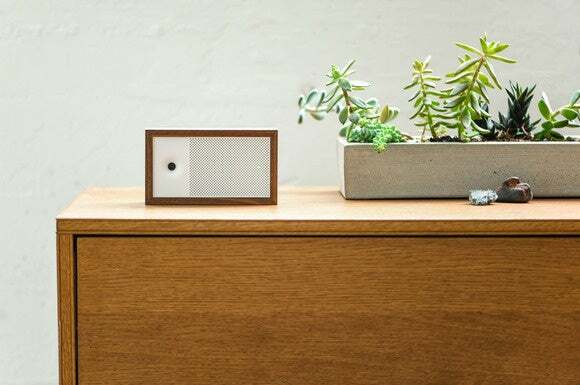 The box uses a gaggle of onboard sensors to analyze your indoor environment, identifying common pollutants and suggesting changes based on your specific health needs and lifestyle. The manufacturer claims the more you use it, the smarter it gets; and that better still, Awair can interface with some of your existing connected devices to automatically effect remedial changes on your behalf. Why this matters: Air-quality-monitoring devices aren’t exactly new, nor are they in short supply. Some of the recent ones could even be considered “smart.” The Bluetooth- and Wi-Fi-enabled Awair, however, seems unique in that it can talk to other connected devices and appliances. Moreover, at $199, it is hardly the most expensive device of its kind on the market; some of its dumb peers actually cost more. The Awair has sensors to determine the level of carbon dioxide, fine dust particles, and volatile organic compounds (VOCs), as well as for measuring air temperature and humidity. All this data is fed to the dedicated Awair app, which analyzes the data and presents the user with an air quality rating and personalized recommendations. The app scores the air (on a scale of 100) using advanced algorithms that take into account the above data and the user’s health preferences. Bitfinder, the startup behind the device, touts Awair’s ability to work in close concert with other health trackers and connected-home products such asMisfit Shine and Philips Hue. According to the company, it is working towards a Works with Nest certification and IFTTT integration . Further, third-party product developers interested in connecting their devices with Awair will be able to do so via the Awair API. The firm has also announced Awair Connect, a hardware add-on that will enable even dumb appliances like air humidifiers and purifiers to interact with the smart air monitor.